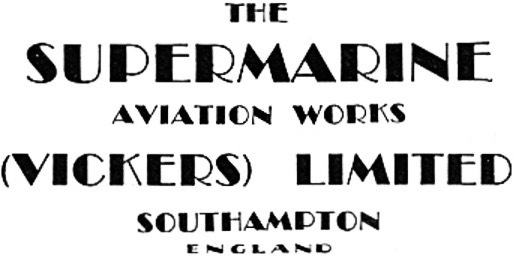 Tag Archives: Supermarine Aviation Works (Vickers) Ltd. 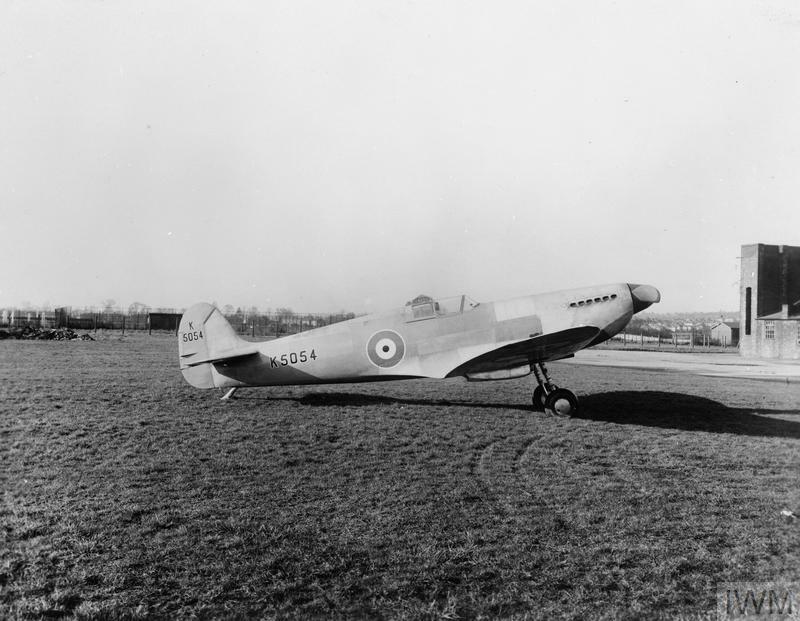 The Vickers-Supermarine Type 300 was a private venture, built to meet an Air Ministry requirement ¹ for a new single-place, single-engine interceptor for the Royal Air Force. The airplane was designed by a team led by Reginald Joseph Mitchell, C.B.E., F.R.Ae.S., and was built at the Supermarine Aviation Works, Southampton, Hampshire, England. Reginald Joseph Mitchell, C.B.E., F.R.Ae.S. The Vickers-Supermarine Type 300 was 29 feet, 11 inches (9.119 meters) long, with a wingspan of 36 feet, 10 inches (11.227 meters) and overall height of 12 feet, 8 inches (3.861 meters). 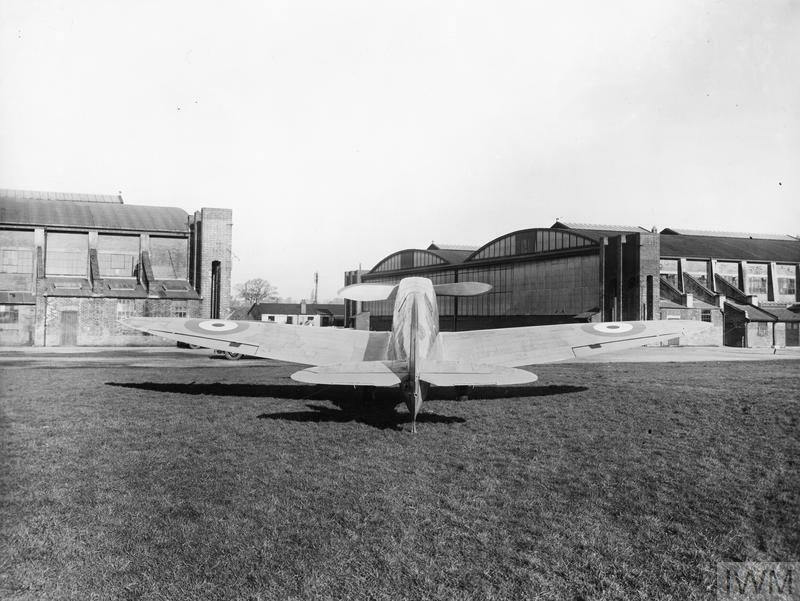 The airplane’s wings had a distinctively ellipsoid shape. Their angle of incidence was 2.1° at the root and 0° at the tip, and there were 6.0° dihedral. The total area was 242.0 square feet (22.48 square meters). The Type 300’s empty weight was 4,082 pounds (1,852 kilograms) and its loaded weight was 5,332 pounds (2,419 kilograms). 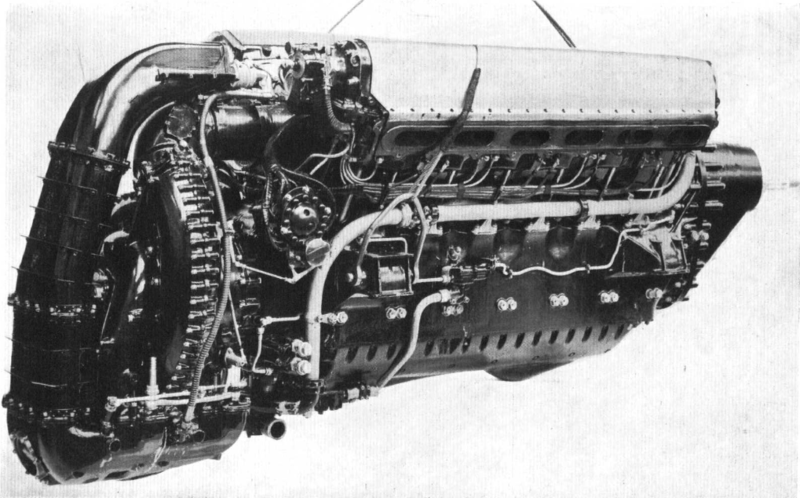 K5054 was powered by an experimental Rolls-Royce Merlin C “ramp head” engine. This was a right-hand tractor, liquid-cooled, supercharged, 1,648.9-cubic-inch-displacement (27.04-liter) single overhead camshaft (SOHC) 60° V-12. Its company serial number was C9, and the number assigned to it by the Air Ministry, A111,139). The Merlin C had a Normal Power rating of 1,029 horsepower at 2,600 r.p.m. at an altitude of 11,000 feet (3,353 meters), with +6 pounds per square inch boost (0.41 Bar). The engine turned an Airscrew Co., Ltd., Watts-type two-bladed, fixed-pitch, compressed wood propeller through a gear reduction drive (possibly 0.420:1). An improved 1,035 horsepower Merlin F engine, serial number F21 (Air Ministry serial number A115,73 ), was later installed. 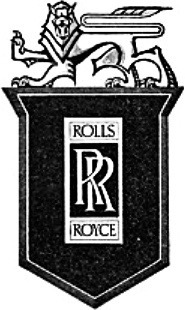 Interestingly, Rolls-Royce discovered that using exhaust stacks to direct the flow of gases rearward provided an additional 70 pounds of thrust, an increase of 7% over that provided by the propeller alone. Later testing of K5054 with “fish tail” exhaust stacks increased its top speed to about 360 miles per hour (579 kilometers per hour). The Type 300 had a cruise speed of 311 miles per hour (501 kilometers per hour) at 15,000 feet (4,572 meters), and the prototype could reach that altitude in 5 minutes, 42 seconds. Its maximum speed was 349 miles per hour (562 kilometers per hour) at 16,800 feet (5,121 meters). K5054 had a service ceiling of 35,400 feet (10,790 meters). A report summarizing the flight testing of K5054 stated, “The aeroplane is simple and easy to fly and has no vices.” Visibility was good, the cockpit was comfortable, and it was a stable gun platform. On 22 March 1937, K5054’s engine lost oil pressure and the pilot made a belly landing on Marlesham Heath. 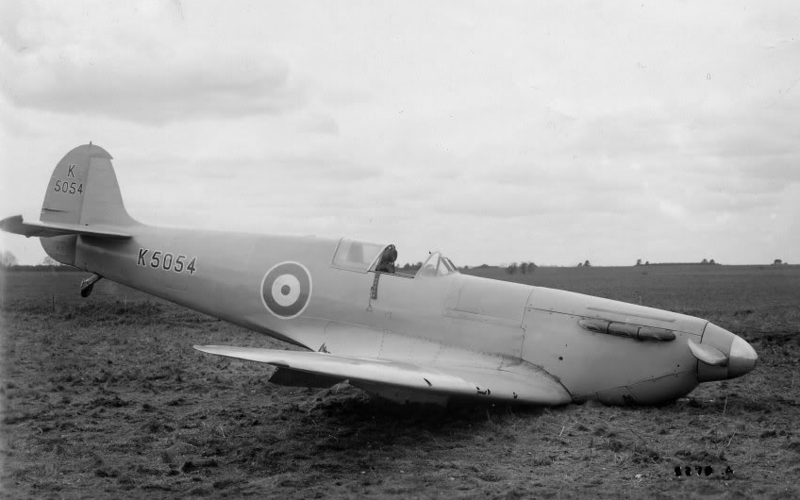 The Spitfire was damaged, but it was repaired and returned to service. 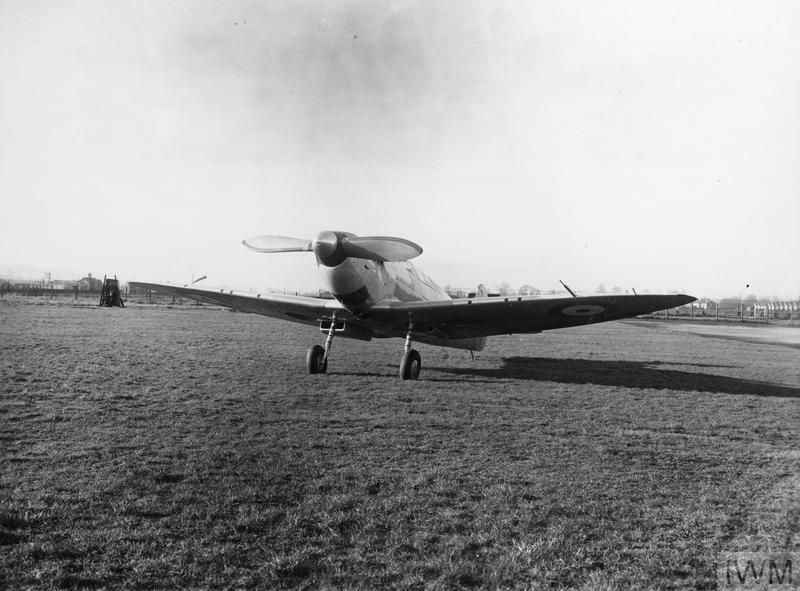 The prototype Spitfire stalled on landing at RAE Farnborough, 4 September 1939. After several bounces on the runway, it nosed over. The pilot, Flight Lieutenant Gilbert Stanbridge (“Spinner”) White, was severely injured. He died 9 September. K5054 was disassembled and scrapped. 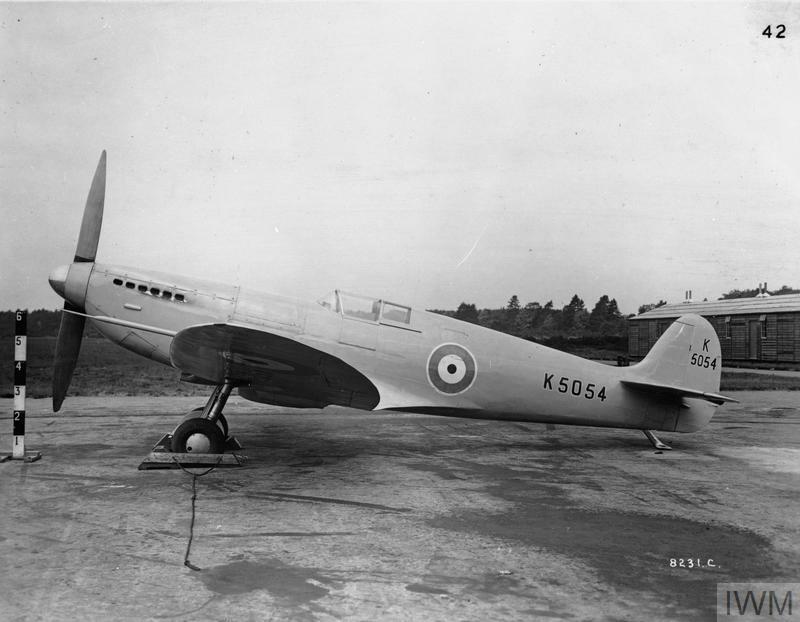 The Air Ministry ordered the Spitfire Mk.I into production before K5054’s first flight, with an initial order for 310 airplanes. 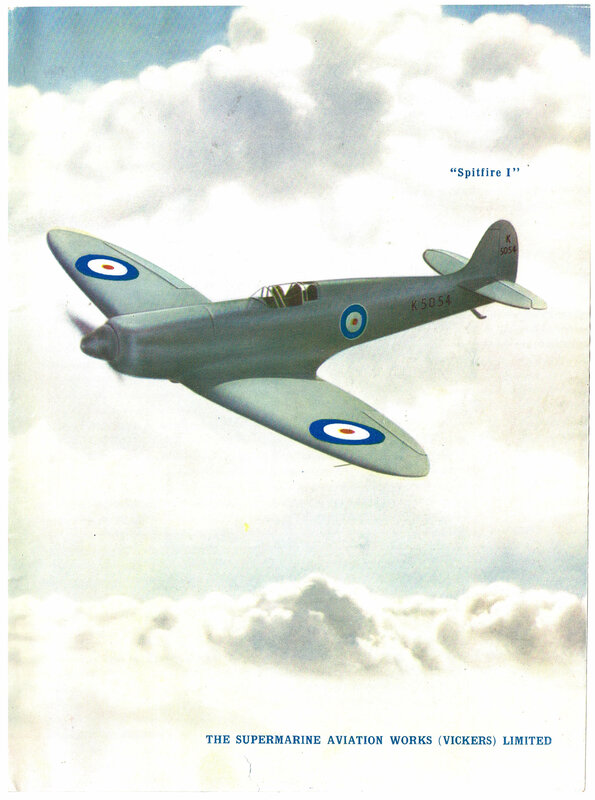 The first production fighter was delivered to the Royal Air Force 4 August 1938. 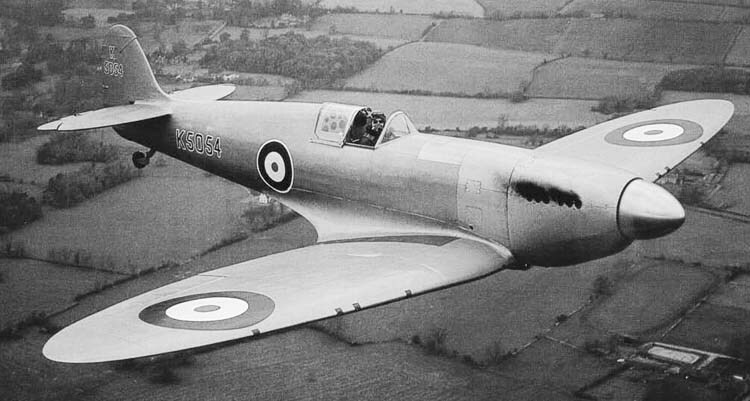 Between 1938 and 1948, 20,351 Spitfires were built in 24 variants. Captain Joseph Summers, C.B.E., was born 10 March 1904. He was the older brother of Group Captain Maurice Summers, who was also a test pilot for Vickers. In 1922, he married Miss Dulcie Jeanette Belcher at Sculcoates, Yorkshire. They would have several children. In 1924, Summers received a short-service commission as an officer in the Royal Air Force. He trained as a pilot with No. 2 Flight Training Squadron, at RAF Duxford. He was hospitalized for six months, which delayed his training, but he graduated in 1924 and was assigned to No. 29 Fighter Squadron. Summers was considered to be an exceptional pilot, and with just six months’ operational experience, he was assigned as a test pilot at the Aircraft and Armaments Engineering Establishment (A&AEE) at RAF Martlesham Heath. He remained there for the reminder of his military service. In June 1929 he became a test pilot for Vickers Ltd. (Aviation Department). He became the company’s chief test pilot in 1932. During his career as a test pilot, “Mutt” Summers made the first flights of 54 prototype aircraft, including the Spitfire, the Vickers Type 618 Nene-Viking, the Vickers Type 630 Viscount four-engine turboprop airliner, and the Vickers Type 667 Valiant, a four-engine jet bomber. He flew more than 5,600 hours in 366 different aircraft types. —Sir George R. F. Edwards, O.M., C.B.E., F.S., D.L., Executive Director of the British Aircraft Corporation, quoted in Flight and Aircraft Engineer, No. 2357, Vol. 65, Friday, 26 March 1954, at Page 355, Column 2. 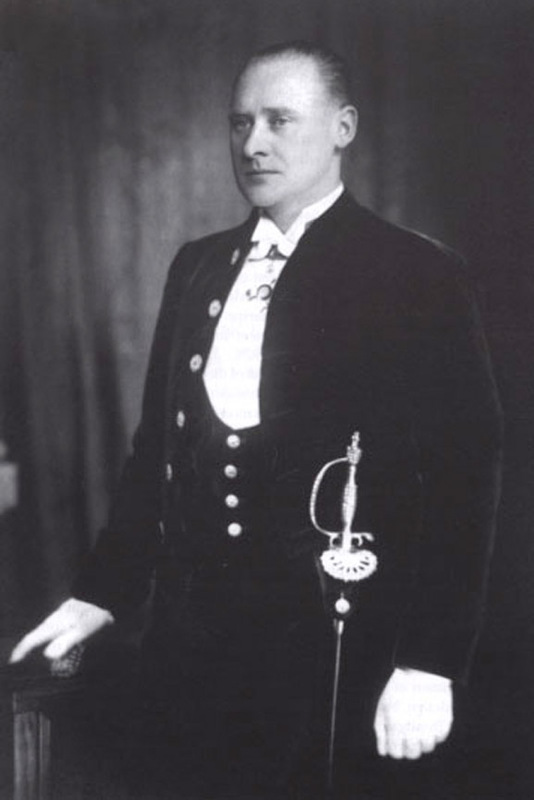 Joseph Summers, Esq., was appointed an Officer of the Most Excellent Order of the British Empire, Civil Division (O.B.E. 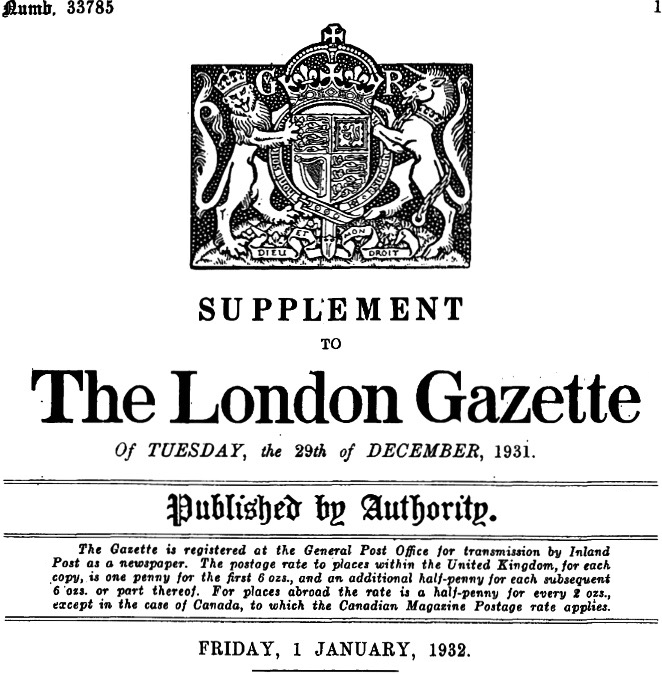 ), in His Majesty’s New Year’s Honours, Wednesday, 9 January 1946. He was promoted to Commander of the Most Excellent Order of the British Empire (Civil Division) (C.B.E.) in Her Majesty’s Coronation Honours, Monday, 1 June 1953. Summers died 16 March 1954 at the age of 50 years. 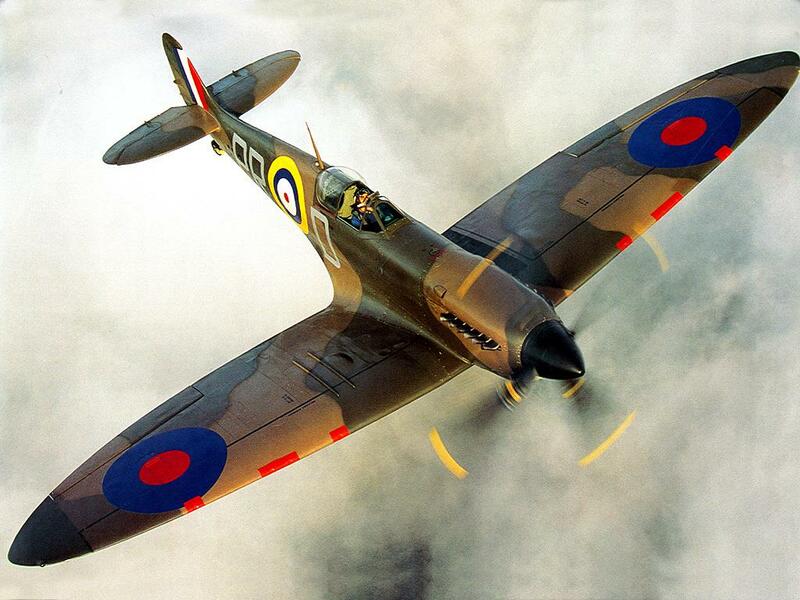 Supermarine Spitfire, Royal Air Force Battle of Britain Memorial Flight. ² FAI Record File Number 11833, World Record for Speed Over a 3-Kilometer Course: 364.92 kilometers per hour (226.75 miles per hour). Supermarine S.4, Henri Biard, 13 September 1925. FAI Record File Number 14999, World Record for Speed Over 100 Kilometers: 531.20 kilometers per hour (330.07 miles per hour), Supermarine S.6, Henry Richard Danvers Waghorn, 7 September 1929. 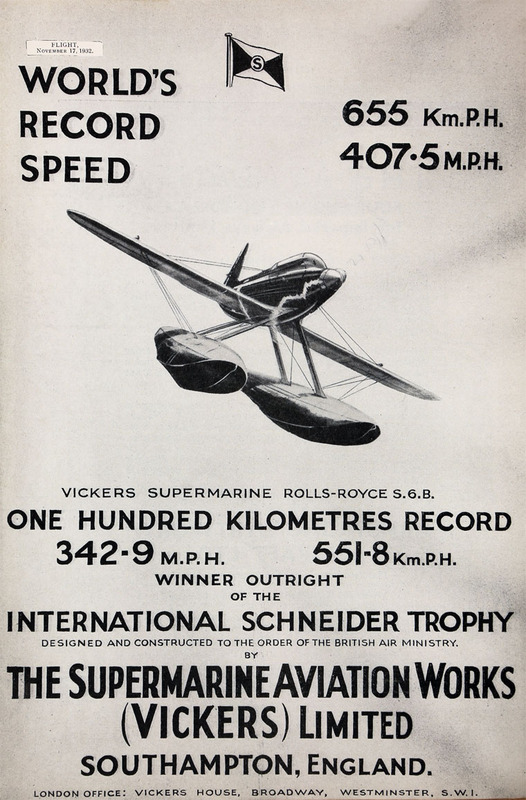 FAI Record File Number 11831, World Record for Speed Over a 3-Kilometer Course: 655 kilometers per hour (407 miles per hour), Supermarine S.6B, George Hedley Stainforth, 29 September 1931. Reginald Joseph Mitchell, C.B.E., A.M.I.C.E., F.R.Ae.S. Reginald Joseph Mitchell, Esq., A.M.I.C.E., F.R.Ae.S. 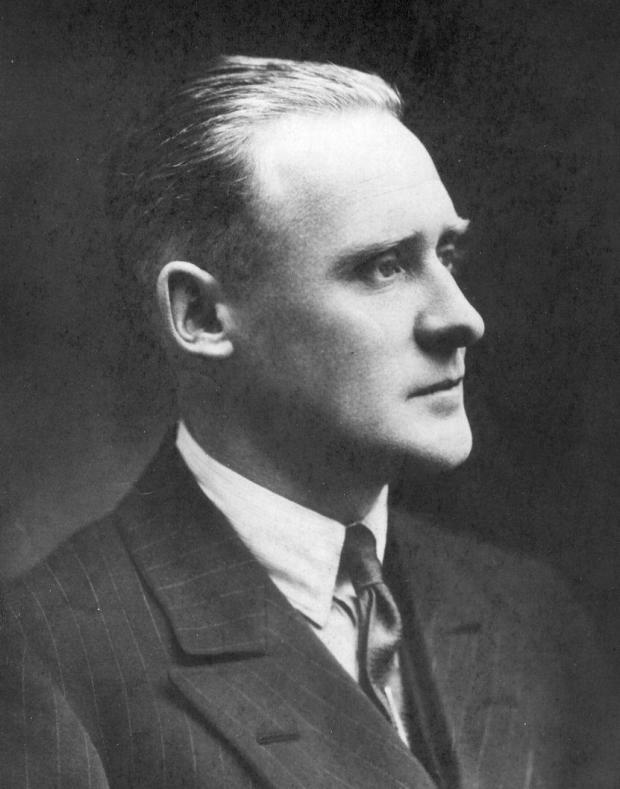 Director and Chief Designer, Supermarine Aviation Works (Vickers) Limited. For services in connection with the Schneider Trophy Contest. 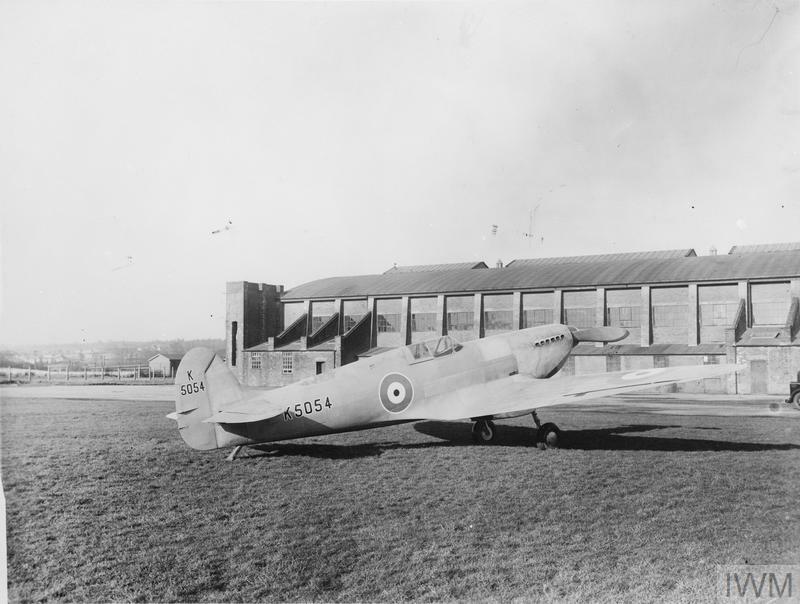 29 September 1931: After waiting all day for the fog to clear, at 5:49 p.m., Flight Lieutenant George Hedley Stainforth of the Royal Air Force High-Speed Flight at RAF Calshot, made a 43-second takeoff run and began an attempt to set a new Fédération Aéronautique Internationale (FAI) World Record for Speed Over a 3 Kilometer Course. 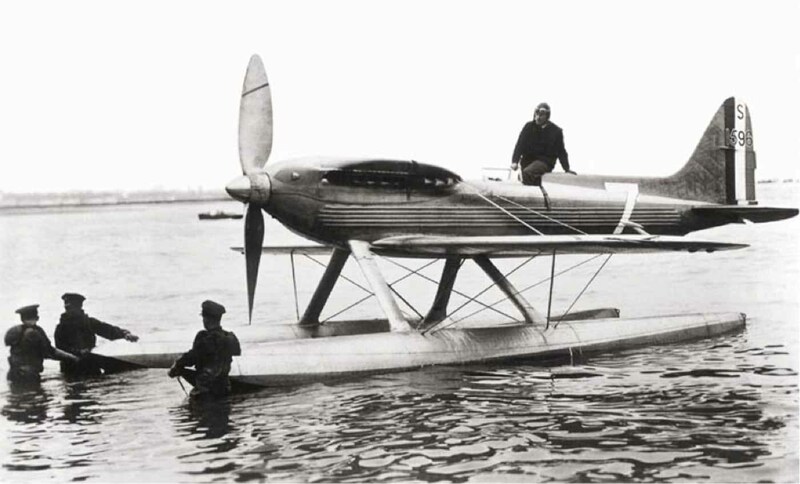 ¹ His airplane was a Supermarine S.6B, number S.1595, the same seaplane that won the Coupe d’Aviation Maritime Jacques Schneider race on 13 September. 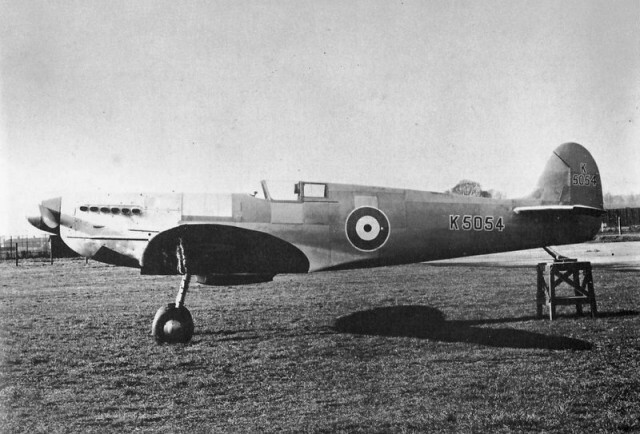 The High-Speed Flight had originally intended to use the second S.6B, S.1596, fitted with a specially-prepared Rolls-Royce Type R engine, for the 3 kilometer record attempt. S.1596 had been damaged on landing after a test flight, 16 September. While being towed back to RAF Calshot, the airplane sank. Fortunately, the special speed record engine, number R27, was not installed in S.1596 at the time of the accident. 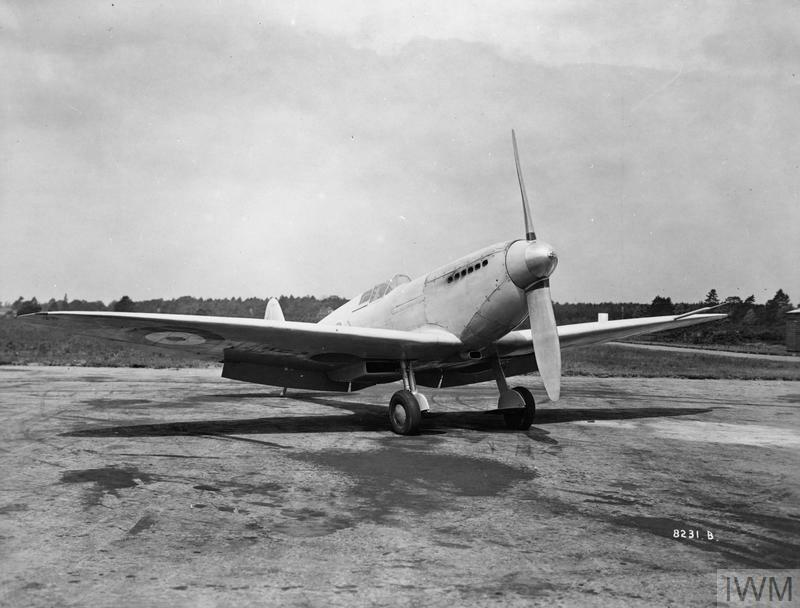 Supermarine S.6B S.1595 had engine R27 installed, along with a new airscrew provided by Fairey Aviation Company Ltd. Also new was the fuel mixture of “wood alcohol” (methanol), gasoline and ethanol, being used in the engine for the first time. 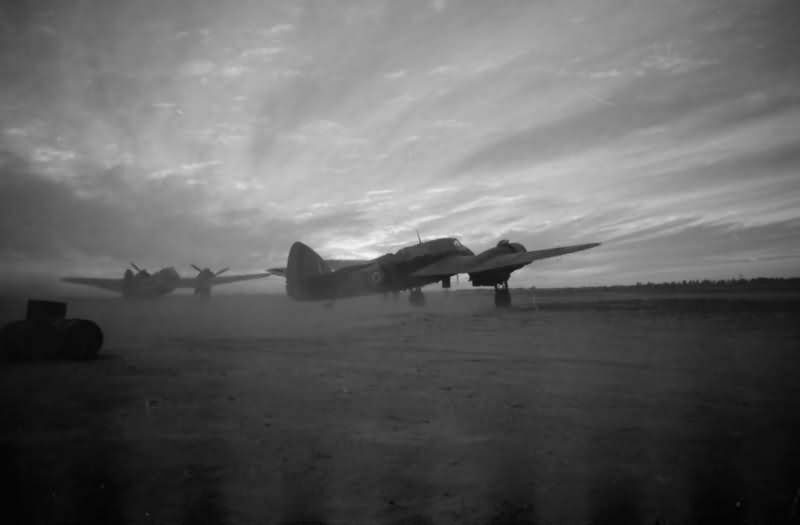 During the speed runs, the High-Speed Flight squadron engineering officer flew along the course at an altitude of 400 meters, carring a sealed barograph. This would later be used to calibrate the time measurements. 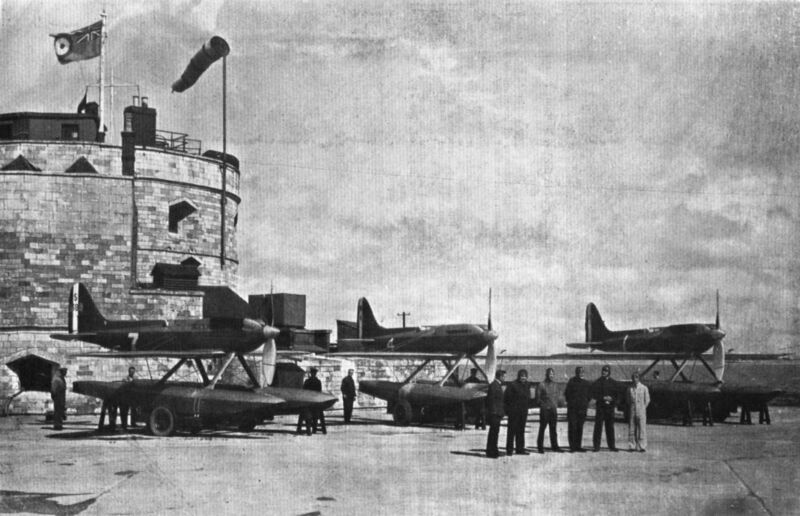 The course was flown between Hill Head and Lee-on-Solent, on the Hampshire shoreline, with Flight Lieutenant Stainforth making four runs, two in each direction, to minimize the effect of winds. The official record time as published by the FAI is 655 kilometers per hour (407 miles per hour). 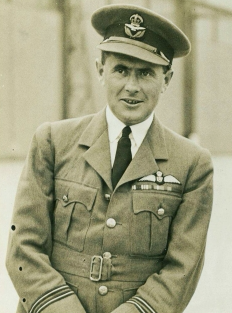 George Stainforth was the first pilot to fly faster than 400 miles per hour. Flight Lieutenant John Nelson Boothman. In recognition of his achievement in winning the Schneider Trophy Contest, 1931. Flight Lieutenant George Hedley Stainforth. In recognition of his flights with the High Speed Flight of the Royal Air Force in connection with the Schneider Trophy Contest, 1931, culminating in the establishment of a world’s speed record on 29th September, 1931. Flight, No. 1193 (Vol. XXIII, No. 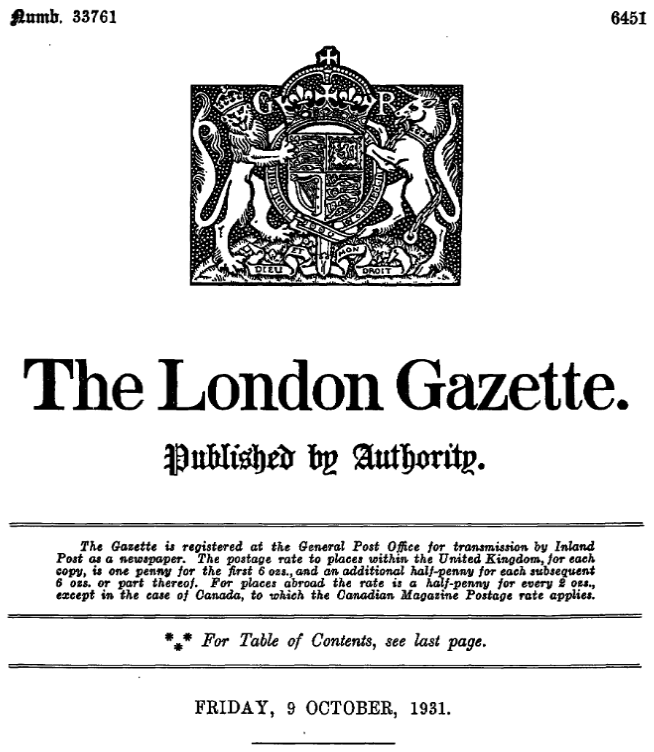 45), Thursday, November 6, 1931 at Page 1110, Column 1. 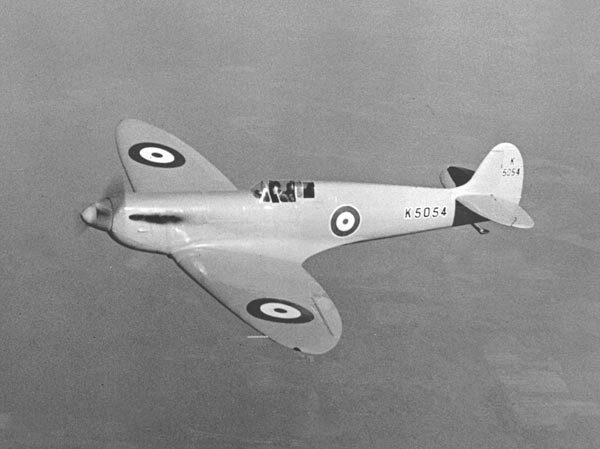 S.1595 was Vickers-Supermarine S.6B Monoplane, designed by Reginald Joseph Mitchell, who would later design the legendary Supermarine Spitfire fighter of World War II. The racer was developed from Mitchell’s earlier S.4, S.5 and S.6 Schneider Cup racers, and was built at the Supermarine Aviation Works (Vickers), Ltd., Southampton, on the south coast of England. There were two S.6Bs, with the second identified as S.1596. 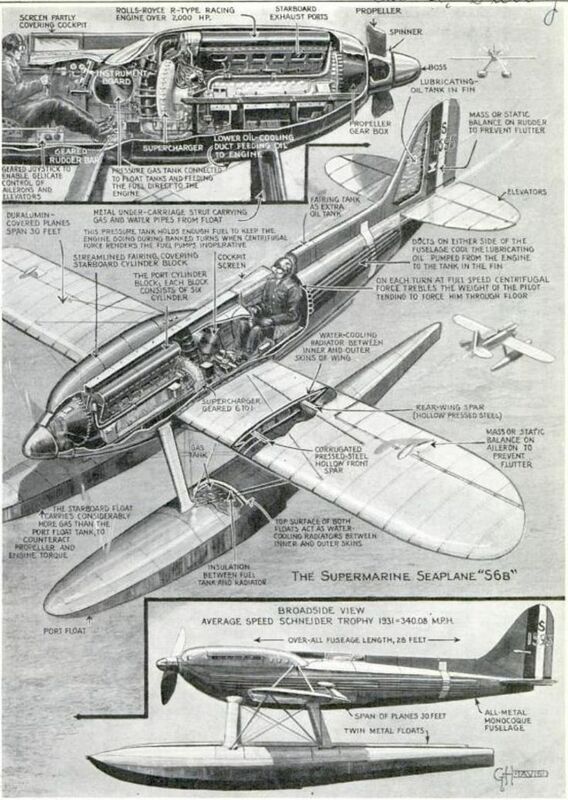 The Supermarine S.6B was a single-place, single-engine, low-wing monoplane with two fixed pontoons as an undercarriage. It was of all-metal construction and used a high percentage of duralumin, a very hard alloy of aluminum and copper, as well as other elements. The float plane was 28 feet, 10 inches (8.788 meters) long, with a wingspan of 30 feet, 0 inches (9.144 meters) and height of 12 feet, 3 inches (3.734 meters). The wing area was 145 square feet (13,5 square meters). The S.6B had an empty weight of 4,560 pounds (2,068 kilograms) and gross weight of 5,995 pounds (2,719 kilograms). In an effort to achieve the maximum possible speed, aerodynamic drag was eliminated wherever possible. There were no radiator or oil cooler intakes. The wing surfaces were constructed of two thin layers of duralumin with a very small space between them. The engine coolant, a mixture of water and ethylene glycol, was circulated between these layers, which are known as surface radiators. The engine had a high oil consumption rate and the vertical fin was the oil supply tank. The skin panels also served as surface radiators. The fuselage panels were corrugated for strength, and several small parallel passages transferred lubricating oil from the fin tank to the engine, and further cooled the oil. For the 3 kilometer record, S.1595 was powered by a liquid-cooled, supercharged, 2,239.327-cubic-inch-displacement (36.696 liter) Rolls-Royce Type R single-overhead-camshaft (SOHC) 60° V-12 engine, number R27. The Type R was a racing engine with 4 valves per cylinder and a compression ration of 6:1. In the 1931 configuration, it produced 2,350 horsepower at 3,200 r.p.m. 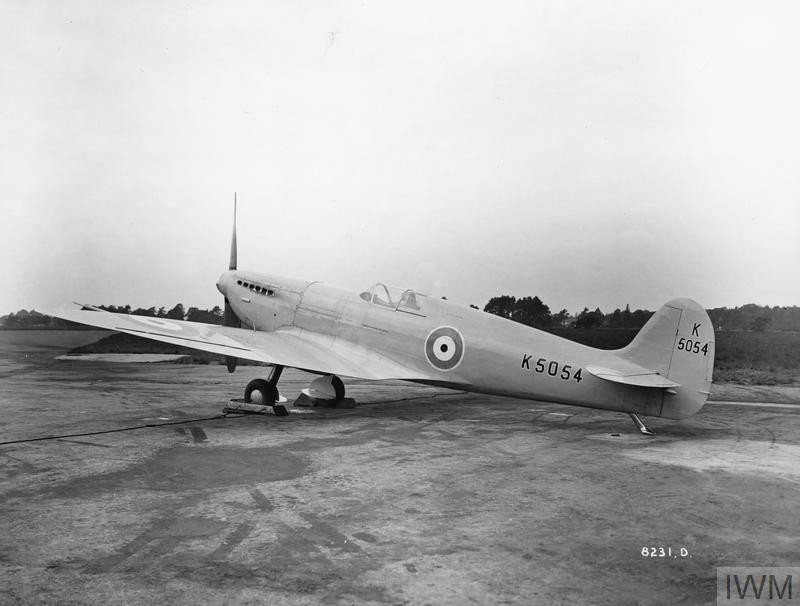 It used a 0.605:1 reduction gear and turned a forged duralumin Fairey Aviation fixed-pitch airscrew with a diameter of 8 feet, 6 inches (2.591 meters). R27 weighed 1,630 pounds (739 kilograms). There would have been no 1931 British Schneider Trophy Race team without the generous contribution of Lucy, Lady Houston, D.B.E., who donated £100,000 to Supermarine to finance the new aircraft. 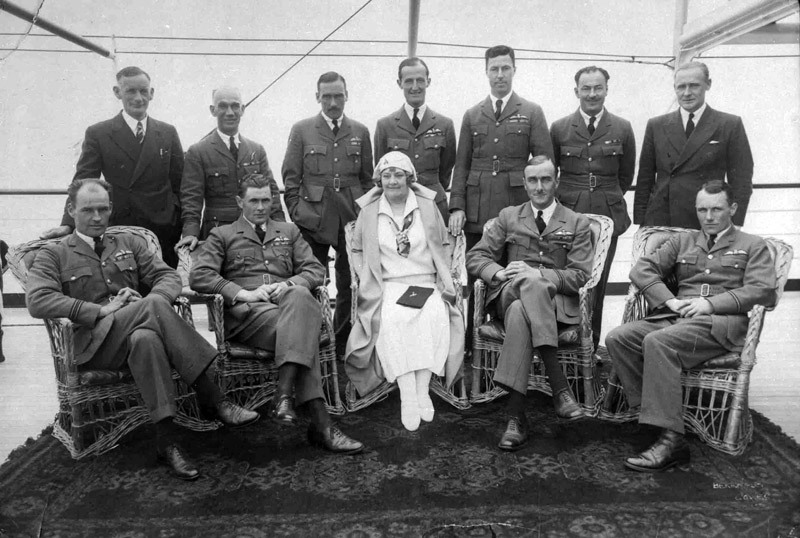 Lady Houston would later sponsor the 1933 Houston Mount Everest Flying Expedition. 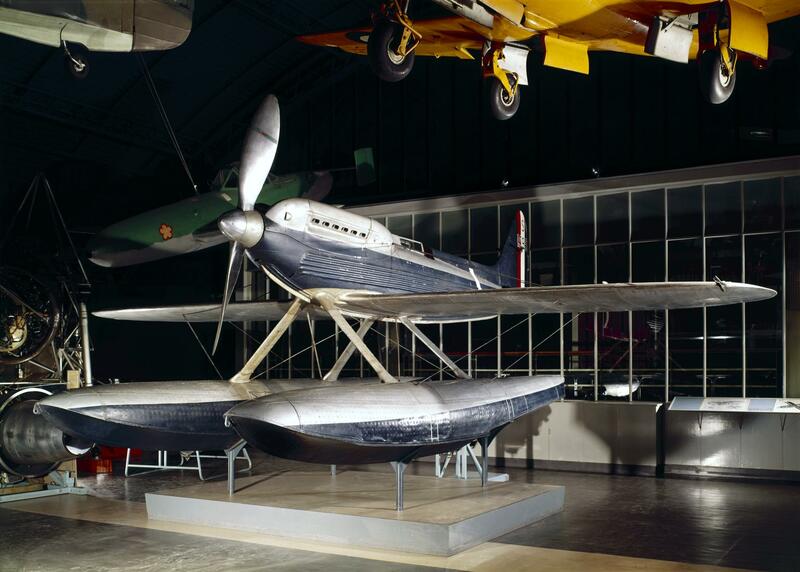 The record-setting aircraft, S.1595, is in the collection of the Science Museum, London. George Hedley Stainforth was born at Bromley, Kent, in 23 March 1899, the son of George Staunton Stainforth, a solicitor, and Mary Ellen Stainforth. Stainforth was a graduate of the Royal Military Academy Sandhurst. On 11September 1918, Cadet Stainforth was commissioned a Second Lieutenant of Infantry, East Kent Regiment (“The Buffs”), ³ effective 21 August 1918 and served in France. On 30 March 1923, Lieutenant Stainforth, R.A.R.O., was granted a short service commission as a Flying Officer, Royal Air Force, effective 15 March 1923. Flying Officer Stainforth married Miss Gladys Imelda Hendy at St. George’s Hanover Square Church, London, in March 1923. Stainforth was promoted to Flight Lieutenant, 3 July 1928. He was granted a permanent commission in this rank 1 October 1929. 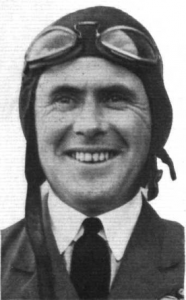 In 1929, Stainforth won the King’s Cup Air Race, and on 10 September, set a Fédération Aéronautique Internationale (FAI) World Record for Speed Over a 3 Kilometer Course, averaging 541.10 kilometers per hour (336.22 miles per hour) while flying a Gloster Napier 6 powered by a Napier Lion VIID broad arrow W-12 engine. Stainforth was promoted to Squadron Leader with effect from 1 June 1936. On 12 March 1940, he was promoted to the rank of Wing Commander, with effect from 1 March 1940. During World War II, Wing Commander Stainforth commanded No. 89 Squadron in Egypt. The New York Times reported that he was “the oldest fighter pilot in the Middle East.” On the night of 27–28 September 1942, while flying a Bristol Beaufighter near the Gulf of Suez, Wing Commander George Hedley Stainforth, A.F.C., was killed in action. He was buried at the Ismailia War Memorial Cemetery, Egypt. Bristol Beaufighter, No. 89 Squadron, Royal Air Force. 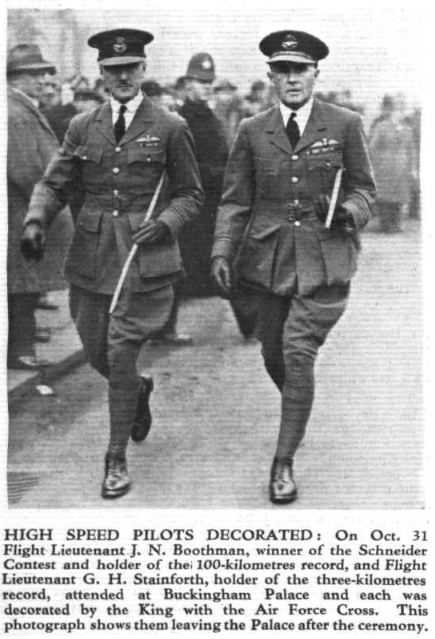 16 September 1931: Flight Lieutenant George Hedley Stainforth of the Royal Air Force High-Speed Flight was flying the second Supermarine S.6B, S.1596, to test an alternate propeller before attempting a 3-kilometer speed record. 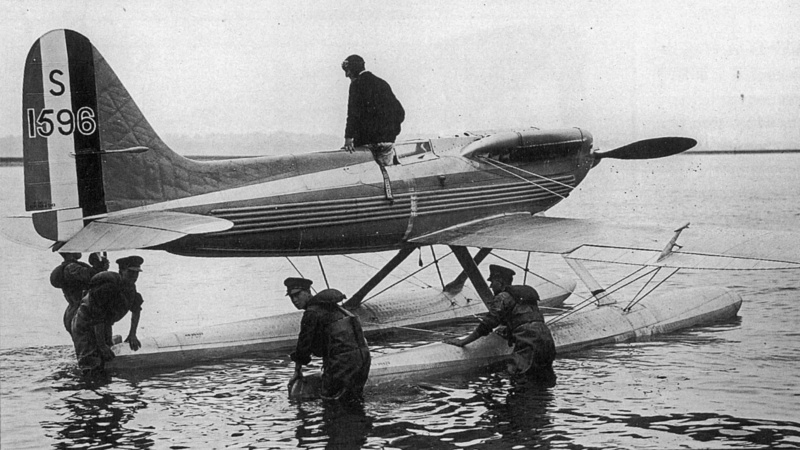 As he landed on the water following the test flight, his foot became caught in the rudder bar. The S.6B skidded across the surface, and then capsized. Stainforth was able to escape with only minor injuries. 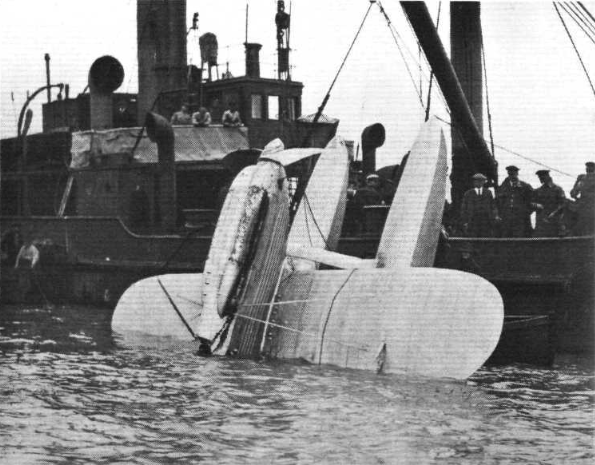 While it was being towed back to the seaplane station at RAF Calshot, the racer sank to the bottom of Southampton Water. Divers were called in to locate the sunken airplane and to rig it for recovery. The following day, the 17th, a Royal Navy salvage ship recovered the airplane. The S.6B had sustained damage to one float and the cockpit, but was otherwise in reasonably good condition. It was returned to the Supermarine works for repairs. S.1596 was powered by a liquid-cooled, supercharged, 2,239.327-cubic-inch-displacement (36.696 liter) Rolls-Royce Type R single-overhead-camshaft (SOHC) 60° V-12 engine, number R25. The Type R was a racing engine with 4 valves per cylinder and a compression ration of 6:1. In the 1931 configuration, it produced 2,350 horsepower at 3,200 r.p.m. It used a 0.605:1 reduction gear and turned a Fairey Aviation fixed-pitch airscrew with a diameter of 8 feet, 6 inches (2.591 meters). A special fuel, a mixture of benzol, methanol and acetone with TCP anti-detonation additive, was used. Engine R25 was specially prepared for the 3-kilometer speed runs. Stainforth was a graduate of the Royal Military Academy Sandhurst. On 11 September 1918, Cadet Stainforth was commissioned a Second Lieutenant of Infantry, East Kent Regiment (“The Buffs”), ³ effective 21 August 1918 and then served in France. On 30 March 1923, Lieutenant Stainforth, R.A.R.O., was granted a short service commission as a Flying Officer, Royal Air Force, effective 15 March 1923. Stainforth would set another 3-Kilometer world speed record on 29 September 1931, at 655 kilometers per hour (407 miles per hour).² He was the first pilot to fly faster than 400 miles per hour. For this accomplishment, Flight Lieutenant Stainforth was awarded the Air Force Cross, 9 October 1931. ³ “The Buffs” is a reference to the regiment’s uniform colors during the Austrian War of Succession, circa 1744. 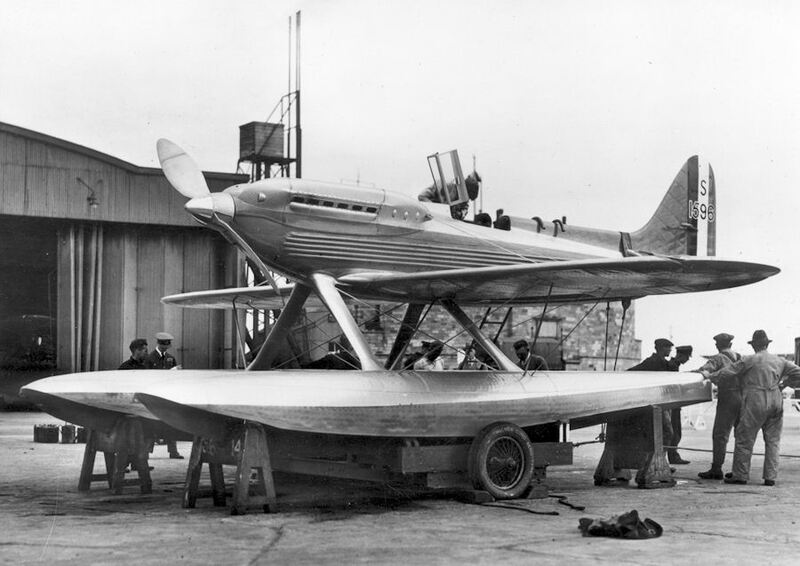 13 September 1931: Having won the previous two Coupe d’Aviation Maritime Jacques Schneider international seaplane races, the United Kingdom was in the position of permanently winning the famous Schneider Trophy if it were to win a third consecutive race. 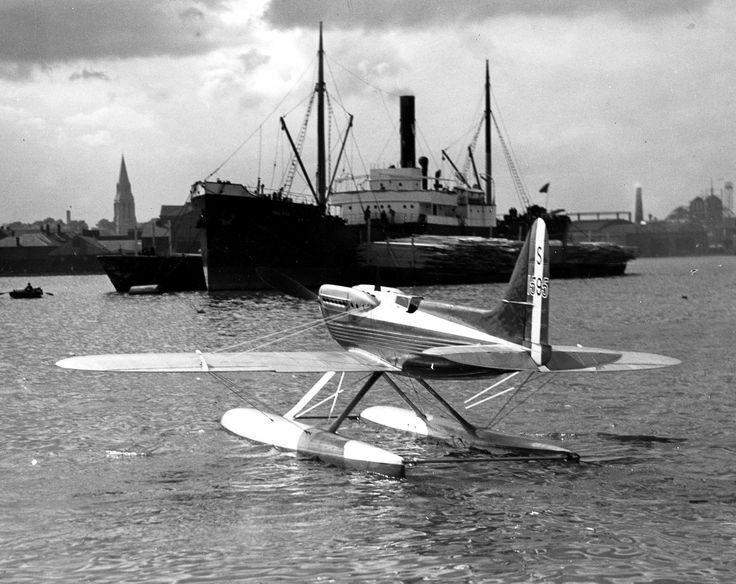 The 1931 race was the twelfth in a series of annual or semiannual races which were first held in 1913, specifically for seaplanes. Teams from several nations, France, Great Britain, Italy and the United States, competed with float-equipped airplanes built specifically for the races. The national team which won three consecutive races would win the series and take home the Trophy. Italy had won three times (1920, 1921, and 1926); the United States, twice (1923, 1925); and France, one time (1913). The United Kingdom had previously won in 1922, 1927 and 1929. Having won the race in 1929, Great Britain was the host nation for 1931. 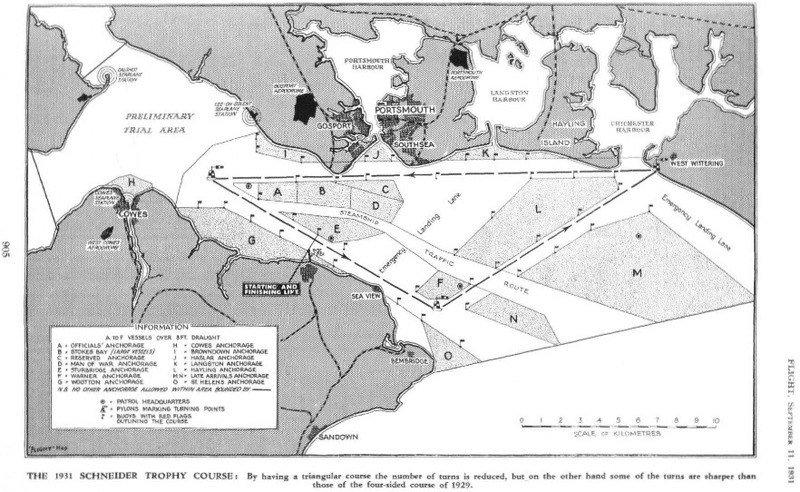 Like the 1929 race, the 1931 race was held over The Solent, a body of water between the harbor city of Portsmouth, England, and the Isle of Wight. Instead of the four-sided polygon used previously, the 1931 race course was a triangle of 50 kilometers (31.07 statute miles). Competitors would make seven circuits of the course, with all left-hand turns, for a total distance of 350 kilometers (217.48 statute miles). Italy had been developing the Macchi-Castoldi M.C. 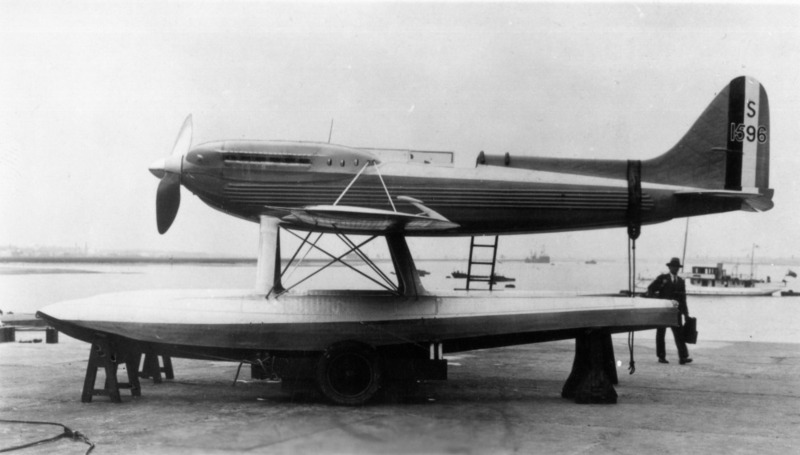 72 with its 3,100-horsepower, 24-cylinder Fiat AS.6 engine, but the airplane was not ready by the required date. The United States was unwilling to invest the required money and had not entered since the 1927 race. France also was not prepared to compete. Both France and Italy formally announced their intention not to compete on 4 September 1931. This meant that only a single British airplane was required to complete the race course to win the race and permanent possession of the trophy. Three airplanes were ready, one Supermarine S.6 and two new S.6Bs. Postponed because of rain and fog on the previous day, the 1931 race started at 1:02:10 p.m., Sunday, 13 September, with the firing of the starting gun from HMS Medea. Flight-Lieutenant John Nelson Boothman, Royal Air Force, in a blue and silver Supermarine S.6B, number S.1565, taxied across the start line at 1:10:19 p.m.
Race rules required that competitors take off, circle and land on the water. They were then required to taxi on the water for two minutes, before taking off a second time to begin the officially timed race laps. Observers reported that Flight-Lieutenant Boothman’s performance of the preliminary test was flawless. He taxied into position for his second takeoff and was airborne with a 40 second run. S.1595 was powered by a liquid-cooled, supercharged, 2,239.327-cubic-inch-displacement (36.696 liter) Rolls-Royce Type R single-overhead-camshaft (SOHC) 60° V-12 engine, number R29. The Type R was a racing engine with 4 valves per cylinder and a compression ration of 6:1. In the 1931 configuration, it produced 2,350 horsepower at 3,200 r.p.m. It used a 0.605:1 reduction gear and turned a Fairey Aviation fixed-pitch airscrew with a diameter of 8 feet, 6 inches (2.591 meters). A special fuel, a mixture of benzol, methanol and acetone with TCP anti-detonation additive, was used. The winning aircraft, S.1595, is in the collection of the Science Museum, London. 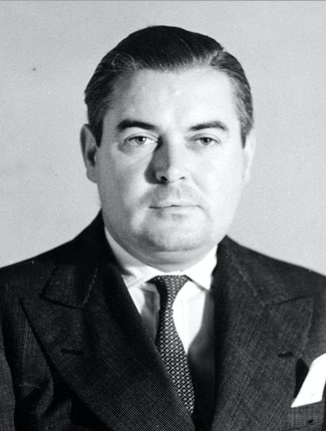 John Nelson Boothman was born at Harrow, northwest London, England, 19 February 1901. He was the son of Thomas John Boothman, a railway clerk, and Mary Burgess Boothman. He became interested in aviation while very young, and took his first flight at the age of 10, as a passenger of Samuel Franklin Cody, the first pilot to fly a powered airplane in England. Boothman was educated at Harrow High School. In 1918, when he was 16 years old, Boothman volunteered as a driver with the Croix-Rouge française (French Red Cross), serving in the Balkans until World War I came to an end. He was awarded the Croix de Guerre. On his return to England, he took flying lessons and joined the Royal Air Force. He received a short-service commission as a Pilot Officer (probationary), 29 March 1921. He trained at No. 1 Flight Training School. He then joined No. 4 Squadron at Constantinople. On 22 March 1922, Boothman was confirmed in the rank of Pilot Officer. He was promoted to Flying Officer 29 September 1922. Also in 1922, Pilot Officer Boothman married Miss Gertrude Andrews. They would have one son. Flying Officer Boothman returned to England in 1924 and was assigned as a flight instructor at the Central Flying School. He was also a member of an aerial demonstration team. After five years of service, on 1 January 1926 Boothman’s commission as a Flying Officer, Royal Air Force, was made permanent. He returned to the Middle East, joining No. 55 Squadron in Iraq, 21 September 1926. This was a bombing squadron, equipped with the de havilland DH-9A. Boothman was promoted to Flight-Lieutenant 1 July 1927. He served with the Air Staff before going on to No. 30 Squadron, which also flew DH-9As, as a flight commander, 24 February 1928. Flight-Lieutenant John Nelson Boothman, Royal Air Force. Flight-Lieutenant Boothman was assigned as a test pilot at the Marine Aircraft Experimental Establishment, Felixstowe, Suffolk, 10 February 1930. On 11 May 1931, he became a member of the High-Speed Flight at RAF Calshot. 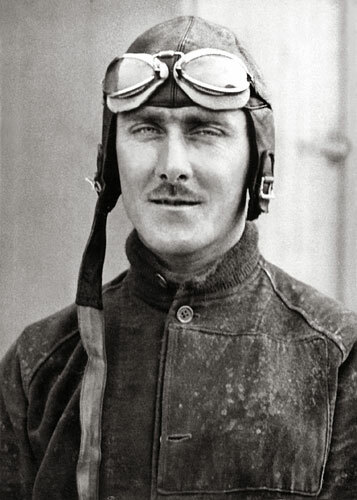 After winning the Schneider Trophy Race, on 3 October 1931, Flight-Lieutenant Boothman was assigned as a flight commander with No. 22 Squadron, a test squadron supporting the Aeroplane Experimental Establishment at RAF Martlesham Heath. During 1932, he became seriously ill and was removed from duty for several months. He returned to duty 13 August 1932 as a test pilot in the Experimental Section at RAE Farnborough. He then served as Chief Flying Instructor, Central Flying School. 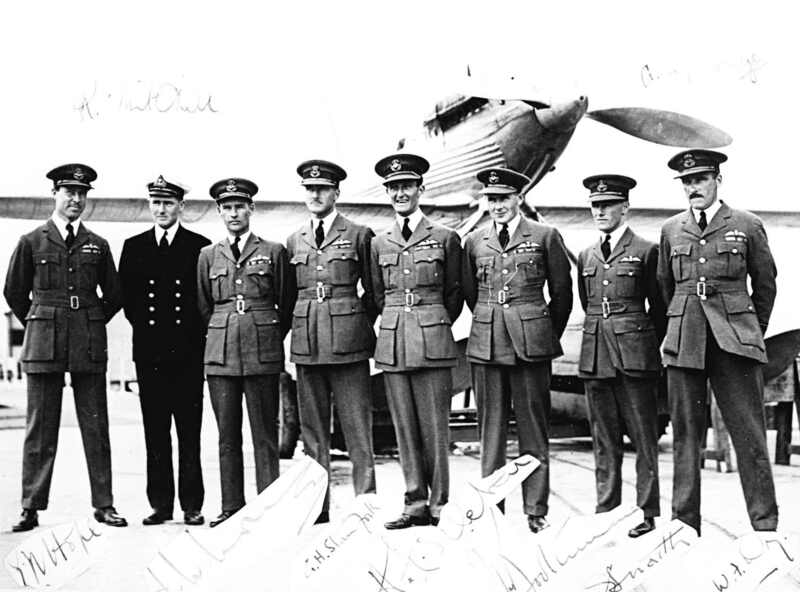 Flight-Lieutenant Boothman attended the Royal Air Force Staff College in 1935. He was promoted to the rank of Squadron Leader, 1 December 1935. From 4 January 1936, he was assigned to Air Staff, Headquarters, Coastal Command. On 26 March 1937, Squadron Leader Boothman was assigned to Air Staff, Headquarters, Royal Air Force, Far East. Boothman was promoted to Wing Commander, 1 January 1939. In September he was placed in command of No. 44 Squadron at RAF Waddington in Lincolnshire. This was a light bomber squadron which flew Bristol Blenheims and Handley Page Hampdens. During the early stages of World War II, Wing Commander Boothman was assigned to Air Staff—Directorate of Operations (Home), and Air Staff, Headquarters, Bomber Command. He returned to RAF Waddington in March 1940 as the station’s commanding officer. He was promoted to Group Captain (temporary), 1 March 1941, then sent to the United States as an adviser to the U.S. Army Air Forces. Boothman returned to England as commanding officer of RAF Finningley, South Yorkshire. On 6 June 1943, Group Captain Boothman was promoted to the rank of Acting Air Commodore, and assigned as Air Officer Commanding, No. 106 Wing. The wing controlled all photographic reconnaissance units in the United Kingdom. 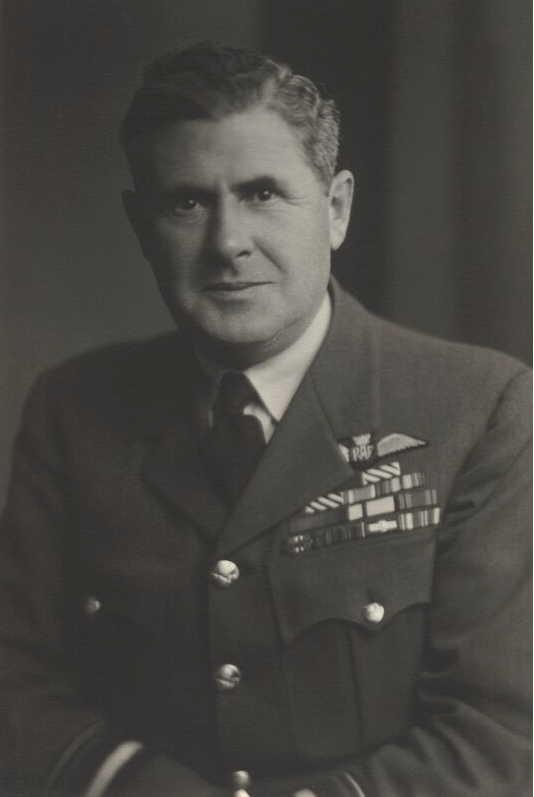 In 1 December 1943, Air Commodore Boothman’s rank was changed from Acting to Temporary. In July 1944 Air Commodore Boothman was assigned as Commandant, Aeroplane and Armament Experimental Establishment (A. & A.E.E.) at RAF Boscombe Down, Wiltshire. In the King’s Birthday Honours, 1944, Air Commodore Boothman was invested Companion of the Most Honourable Order of the Bath, Military Division (C.B.). On 2 July 1945, was promoted to Acting Air Vice Marshal and appointed Assistant Chief of Air Staff (Technical Requirements). 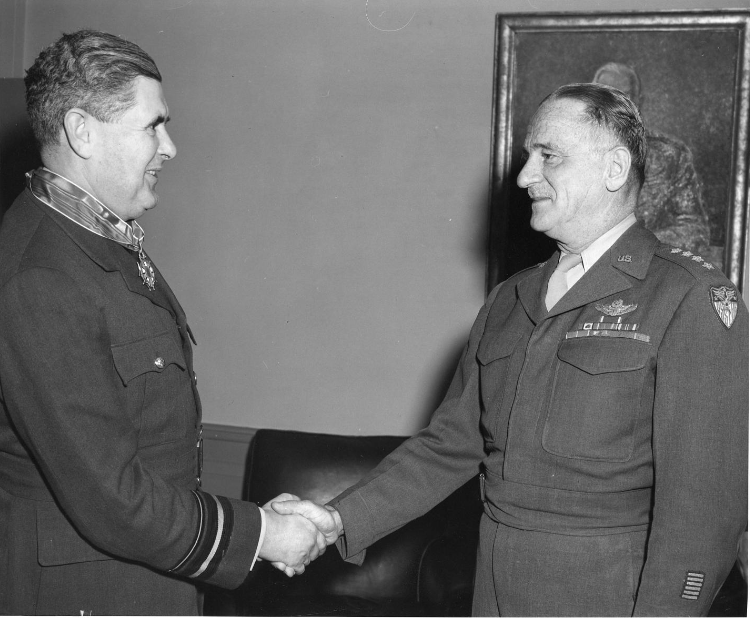 On 9 October 1945, The U.S. Army Air Forces awarded him the the medal of Commander, Legion of Merit. Air Vice Marshal Boothman once again returned to Iraq in 1948 as Air Officer Commanding, Air Headquarters, Iraq. On 4 September 1950, he was promoted to Acting Air Marshal, and Controller of Supply (Air), Ministry of Supply. On 15 November 1953, Air Marshal Boothman became Commander in Chief, Coastal Command and Commander in Chief (Air) Eastern Atlantic Area. In the King’s Birthday Honours list, 7 June 1951, Air Marshal Boothman, C.B., D.F.C., A.F.C., was promoted to Knight Commander of the Military Division of the Most Excellent Order of the British Empire (K.B.E.). In the Queen’s Birthday Honours, June 1954, Air Marshal Sir John Boothman, K.B.E., D.F.C., A.F.C., was invested Knight Commander of the Most Honourable Order of the Bath (K.C.B.). On 1 October 1954, Sir John was promoted to the rank of Air Chief Marshal. He retired from the Royal Air Force in 1956. Air Chief Marshal Sir John Nelson Boothman, K.C.B., K.B.E., D.F.C., A.F.C., Royal Air Force, died 29 December 1957 at the age of 57 years.